The Light Crust Doughboys are on the air! Scroll down the right hand side of this page to hear them play their theme and "The Yellow Rose of Texas." 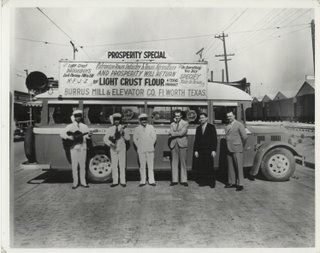 Their impresario, Pappy O'Daniel, became Texas' governor and a US Senator on his fame hosting country-music radio shows for Light Crust Flour and later his own Hillbilly Flour. His slogan: "Pass the Biscuits, Pappy!" 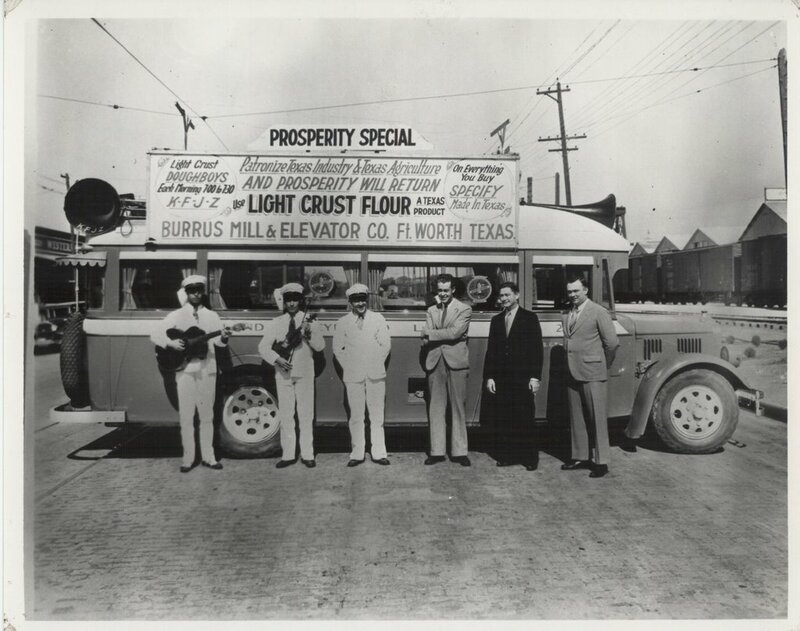 Bob Wills was among the stars of Western Swing who got their start with the Light Crust Doughboys. Another early member was Milton Brown, a founder of the Western Swing style, who died young in 1936. Hear his band the Brownies play "Yes, Sir!" 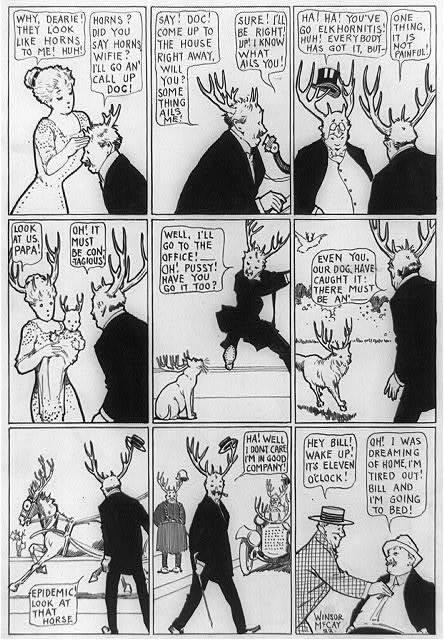 as this Western Swing site loads. His "Easy Ridin' Papa" sounds a bit like the Doughboys' theme. At an old-time radio site you can hear a later incarnation of the Light Crust Doughboys perform in an actual show from 1948.